S. Ota, H. Suzuki, S. Takeuchi, “Microfluidic lipid membrane formation on microchamber arrays,” Lab Chip, 11, 2485-2487, 2011. M. Tsugane & H. Suzuki, "Liposome-mediated material transfer in single cells," Handbook of Single Cell Technologies, Springer, 2019. T. Sunami, H. Kita, K. Hosoda, T. Matsuura, H. Suzuki, T. Yomo, “Chap. 2 - Detection and analysis of protein synthesis and RNA replication in giant liposomes,” Methods Enzymol. (Liposomes, Part F., N. Düzgüne? Ed. ), 464, 19-30, 2009. H. Suzuki, H. Terasawa, K. Nishimura, T. Matsuura, T. Yomo, “Coupling of the fusion and budding of giant phospholipid vesicles containing macromolecules,” ACS National Meeting, Philadelphia, PA (2012.8). S. Sakakura, K. Nishimura, H. Suzuki, T. Yomo, “Statistical Analysis of the discrete encapsulation of nanomaterials in colloidal capsules,” 244th ACS National Meeting, Philadelphia, PA (2012.8). S. Tsuda, H. Suzuki, T. Yomo, “Statistical Analysis of Liposome Budding Dynamics Based on Free Energy Landscape,” 13th Int. Conf. 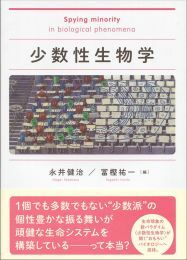 Simulation & Synthesis of Living Systems (Afile 13), pp. 623-624, Michigan, USA (2012.6). 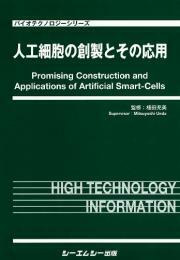 T. Matsuura, K. Hosoda, H. Suzuki, T. Yomo, “Creating an artificial cell with different size revealed the effect of compartment volume on the intracompartmental multimeric protein synthesis,” 13th Int. Conf. 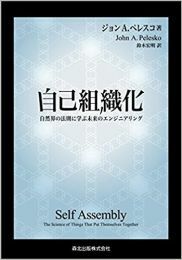 Simulation & Synthesis of Living Systems (Afile 13), pp. 619-620, Michigan, USA (2012.6). H. Terasawa, H. Suzuki, K. Nishimura, T. Matsuura, T. Yomo, “Giant unilamellar vesicles as a platform of liquid handling in femtoliter volumes,” Proc. µTAS 2011, pp. 1618-1620, Seattle, USA (2011.10). T. Wu, H. Suzuki, T. Yomo, R. Xiang, X. Gui, Z. Tang, “Tunable monodisperse femtoliter drolet array using 3D microfluidic traps,” Proc. µTAS 2011, pp. 1659-1661, Seattle, USA (2011.10). T. Wu, H. Suzuki, T. Yomo, “Bio-inspired 3D self-patterning of functional coatings for PDMS microfluidics,” Proc. Transducers ’11, pp. 2311-2314, Beijing, China (2011.6). T. Wu, H. Suzuki, T. Yomo, “In-situ generation and shrinkage of monodisperse water-in-oil emulsion for femtoliter compartmentalization using capillary traps,” Proc. Transducers ’11, pp. 1765-1768, Beijing, China (2011.6). T. Ichii, H. Suzuki, T. Yomo, “Amplification of RNA in growing and dividing micro-droplets,” Proc. µTAS 2010, pp. 2089-2091, Groningen, Netherland (2010.10.). T.　Wu, H. Suzuki, T. Yomo, “Shrunk to nano: A novel approach for femtoliter compartmentalization using W/O emulsion,” Proc. µTAS 2010, pp. 437-439, Groningen, Netherland (2010.10.). K. Hirata, T. Ichii, H. Suzuki, T. Matsuura, T. Yomo, “Measurement of nonlinear biochemical reaction in microdroplets using the fractal-shaped micro channel,” Proc. µTAS 2010, pp. 623-625, Groningen, Netherland (2010.10.). K. Nishimura, T. Toyota, H. Suzuki, T. Yomo, “Size control of unilamellar giant vesicles using microfluidics for artificial cell studies,” Proc. µTAS 2010, pp. 1712-1714, Groningen, Netherland (2010.10.). T. Ichii, H. Suzuki, T. Yomo, “Droplet-based continuous cell culture system by repeating fusion-division cycles,” Proc. µTAS 2009, pp. 558-560, Jeju, Korea (2009.10.). K. Hirata, T. Ichii, H. Suzuki, T. Yomo, “Fractal-shaped micro channel system for kinetic analysis of biochemical reaction,” Proc. µTAS 2009, pp. 1001-1003, Jeju, Korea (2009.10.). K. Nishimura, T. Toyota, H. Suzuki, T. Yomo, “Size control of unilamellar giant vesicles using microfluidics,” Proc. µTAS 2009, pp. 1291-1293, Jeju, Korea (2009.10.). S. Ota, H. Suzuki, S. Takeuchi, “Microfluidic formation of lipid bilayer array for membrane transport analysis,” Proc. IEEE Int. Conf. MEMS 2008, pp. 18-21, Tuson, Arizona, USA, (2008.1). B. Le Pioufle, H. Suzuki, S. Takeuchi, “Highly parallelized lipidic bilayers array for ion channel recording,” Proc. µTAS 2007, Vol. 1, 679-681, (2007.10). H. Suzuki, T. Pucadyil, R. Ramachandran, S. Takeuchi, S. L. Schmid, “Supported lipid bilayer array to study clathrin mediated endocytosis in vitro,” Proc. IEEE Int. Conf. MEMS 2007, 481-484, Kobe, Japan, (2007.1). H. Suzuki, K. V. Tabata, H. Noji, S. Takeuchi, “Development of an assay system for ABC transporters reconstituted in an artificial lipid bilayer,” Proc. µTAS 2006, Vol. 2, 1363-1365, Tokyo, Japan (2006.11). K. Funakoshi, H. Suzuki, S. Takeuchi, “Blowing vesicles: A simple method for direct microencapsulation in lipid vesicles,” µTAS 2006, Vol.1, 534-536, Tokyo, Japan (2006.11). N. Yamanaka, K. Kuribayashi, K. Funakoshi, H. Suzuki, S. Takeuchi, “Giant proteoliposome array in microchambers,” Proc. µTAS 2006, Vol. 2, 1354-1356, Tokyo, Japan (2006.11). B. Le Pioufle, C. Yamahata, K. Funakoshi, H. Suzuki, A. Tixer-Mita, H. Fujita, S. Takeuchi, “Low cost microfabricated silicon chip for membrane protein monitoring,” Proc. µTAS 2006, Vol. 2, 1393-1395, Tokyo, Japan (2006.11). H. Suzuki, K. Tabata, H. Noji, S. Takeuchi, "Lipid bilayer microchambers: an optical detection system for membrane transport," Proc. IEEE International Micro Electro Mechanical Systems (MEMS'06), 482-485, Istanbul, Turkey, (2006.1). H. Suzuki, K. Tabata, H. Noji, S. Takeuchi, "Simultaneous reconstitution of multiple planar lipid bilayers," Proc. µTAS 2005, Vol. 2, 1300-1302, Boston, USA, (2005.10). K. Funakoshi, H. Suzuki, S. Takeuchi, "Lipid bilayer formation by contacting monolayers," µTAS 2005, Vol. 2, 951-953, Boston, USA, (2005.10). Y. Yoshida, R. Yokokawa, H. Suzuki, K. Atsuta, H. Fujita, S. Takeuchi, "Biomolecular linear motors confined to move upon micropatterns on glass," Proc. IEEE International Micro Electro mechanical Systems (MEMS'05), pp. 750-753, Miami, USA, (2005.1). H. Suzuki, K. Tabata, Y. Kato-Yamada, H. Noji, S. Takeuchi, "Planar lipid bilayer chip for electrophysiological analysis of membrane proteins," Proc. µTAS 2004, vol. 2, pp. 246-248, Malmo, Sweden, (2004.9). K. Atsuta, H. Suzuki, S. Takeuchi, "Fine Patterning of Protein with Parylene Sheet," Proc. µTAS 2004, vol. 2, pp. 249-251, Malmo, Sweden, (2004.9). H. Suzuki, Y. Kato-Yamada, H. Noji, S. Takeuchi, "Planar lipid membrane array for membrane protein chip," Proc. IEEE Int. Conf. Micro Electro Mechanical Systems (MEMS'04), 272-275, Maastricht, Netherland, (2004.1). H. Suzuki, N. Kasagi, C. M. Ho, "Chaotic mixing of magnetic beads in micro cell separator," Proc. 3rd Int. Symp. Turbulence and Shear Flow Phenomena, 817-822, Sendai, Japan, (2003.9). H. Suzuki, C. M. Ho, "A magnetic force driven chaotic micro-mixer," Proc. 15th IEEE Int. Conf. MEMS (MEMS'02), Las Vegas, pp. 40-43, (2002.1). H. Suzuki, N. Kasagi, Y. Suzuki, "Active control of an axisymmetric jet with an intelligent nozzle," Proc. 1st Symp. Turbulent Shear Flow Phenomena, 665-670, Santa Barbara, CA. USA, (1999.9). H. Suzuki, N. Kasagi, Y. Suzuki, H. Shima, "Manipulation of a round jet with electromagnetic flap actuators," Proc. 12th IEEE Int. Conf. MEMS (MEMS'99), 534-540, Orland, USA, (1999.1). Copyright© 2012 中央大学理工学部精密機械工学科　鈴木研究室 All Rights Reserved.